Our clients come to us looking for creative solutions to unique financial situations — and we take pride knowing we can develop custom plans for them that meet their needs. They don’t want the standard set of services. They are looking for something just for them. And we love to deliver. When we talk with our clients, they echo our own values. As much as we all love our jobs, at the end of the day, we work to better the lives of those around us, including and especially our own families. Our clients are no different. They are investing strategically to create a life that lets them spend time with those they love and give them the financial stability they need to pursue their dreams. Financial planning is about helping others map a plan to their dreams. And that in itself is a wonderful gift. Someone approached us recently about gifting a session with us to a recent graduate. We loved this idea and feel it applies to any gift-giving season. What’s better for the person who is working hard and is looking for financial peace of mind? 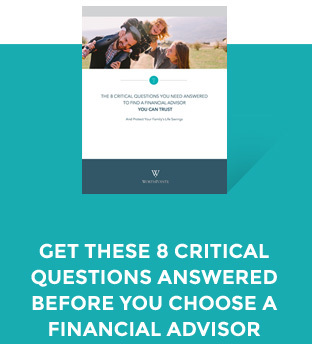 The gift of financial planning and talking with an advisor is a chance for you to step back and plan the next financial steps for you and your family. With the holiday season and end-of-year planning time approaching, we would love to chat.